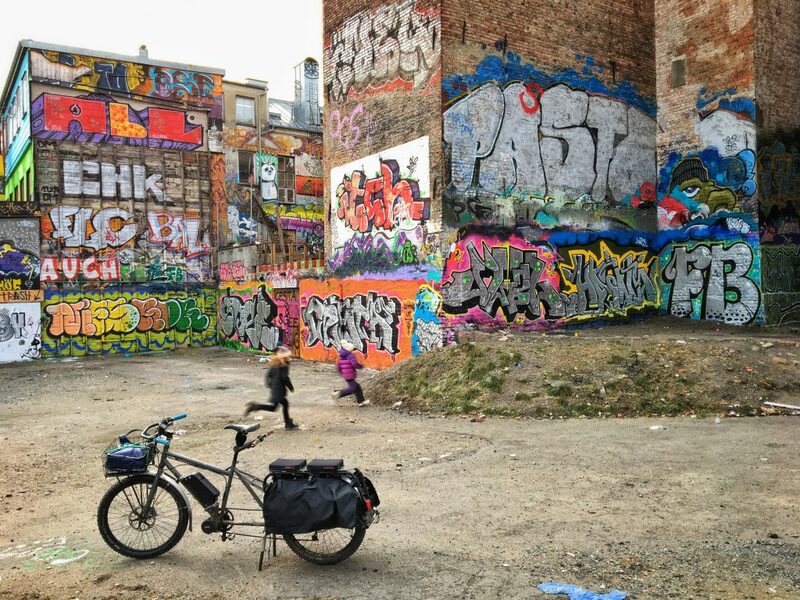 Based in beautiful Oslo, Norway, I have been covering the rise of the modern cargobikes since 2012 through this website. The first five years in Norwegian, from September 2017 in English. No matter the language, my goal is simple: To show you the smartest bikes, the people who ride them – and the people who make them. If you’re inspired by this, then I’m happy! Cargobike Magazine started out as an all Norwegian blog, under the name Transportsykkel (no prize for guessing what that word means!). 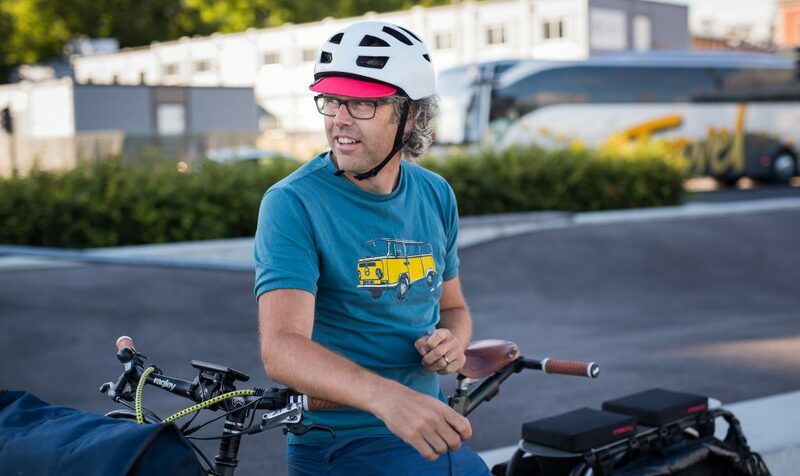 Here I’ve been featuring riders, shops and bikes, besides hosting the annual Cargobike Meetup in Oslo, a super low key happening where people show up with their bikes in a park to share test rides, knowledge and experiences. After a few years of writing cargobike stories in my almost non-existent spare time, I was surprised and honored with «The Bike Prize 2016». This is a semi-annual award by the Norwegian Cyclists’ Association, presented to me during the National Bicycle Conference – for the way Transportsykkel promoted cargo bike use and cargo bike culture. Yay! Thanks! In September 2017, I wanted to expand the audience by switching to a language that most people actually understand and taking on the Cargobike Magazine name. It’s still a one man operation, though, and this mag is made purely out of passion – beside my daily work as an independent writer and photographer in Oslo. You can check out some of my daily commercial work at geiranders.com. The Cargobike Magazine is a 100% independent mag – written just because I love it. So, why cargo bikes? Even though I rode bikes all day as a kid, I ditched the bike as soon as I turned 16 and got my hands on gas-guzzling, motorized alternatives. Doing cycling for sport never interested me at all. Then, at the age of 21, I discovered the playful mountain bike. I was hooked from the first trail back home in the Gudbrandsdalen mountains. It became a passion, and it still is. 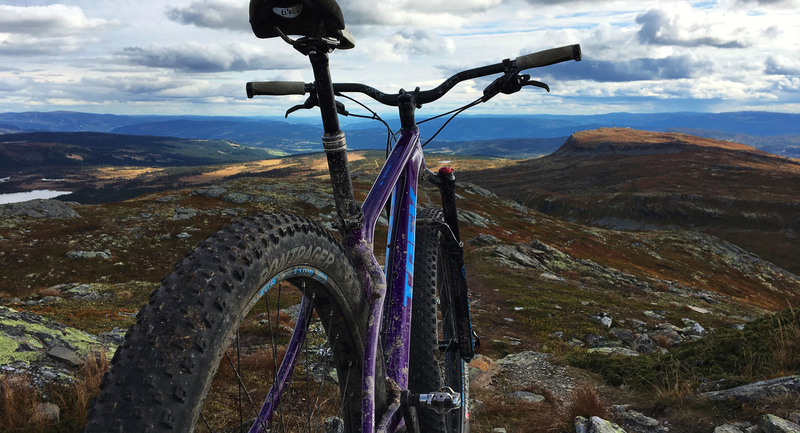 September 2017: My mountain bike in my favorite mountains: Skeikampen, Norway, close to the place I grew up. This is at Prestkampen (altitude 1244 m), approaching the steep south face trail. Back then, as a singletrack-minded mountain biker, I refused to have even a simple luggage rack on any of my bikes. Too heavy, too ugly, too slow. Twenty years, three kids and many bikes later, I finally realized that a big and heavy cargobike should replace my light and fast urban commuter bike. My car was a super useful multivan, why shouldn’t my bike be able to do more? Cue the cargobike, and the result: Less driving, much more fun. And a whole new kind of bicycle passion. Which made me start this site in 2012. 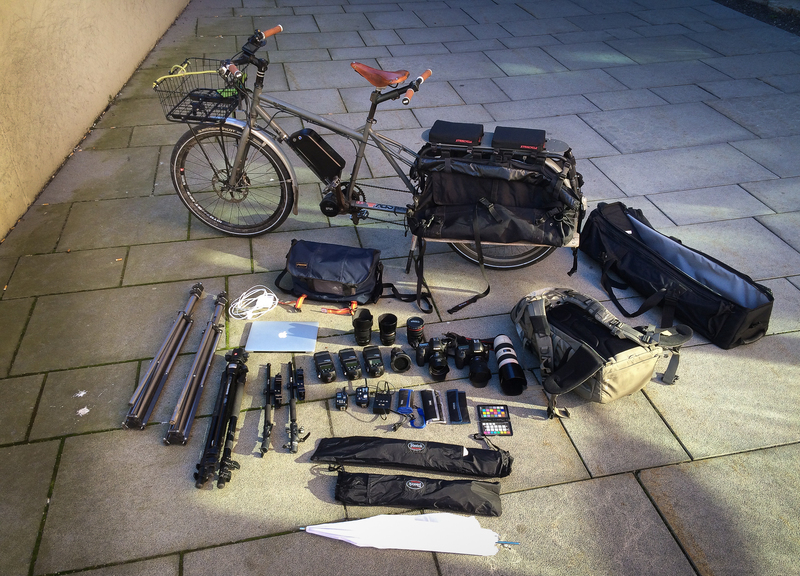 Today, I ride my electrified Surly Big Dummy loaded with everything from camera and lighting equipment to kids, firewood and guitar amps. As you will see, the older stories here are still in Norwegian. Sorry, give it a shot at Google Translate and check if anything makes sense. Most of my new content will be written in English – with a Scandinavian accent. Have any tips or suggestions for stories you want to see or bikes you want to be featured? Do you have a brand that could find the right audience through an ad here? I’m all ears! Hei, jeg planlegger å kjøpe meg en langdistanse-sykkel til våren. Jeg har sirklet rundt Surly “Long H.Trucker, eller “Big Dummy,og har snakket med de Svenske importørene i Karlstad. Det hadde imidlertid vært enklere å handle med en forhandler, der du ikke måtte tråkke 30 mil for service. 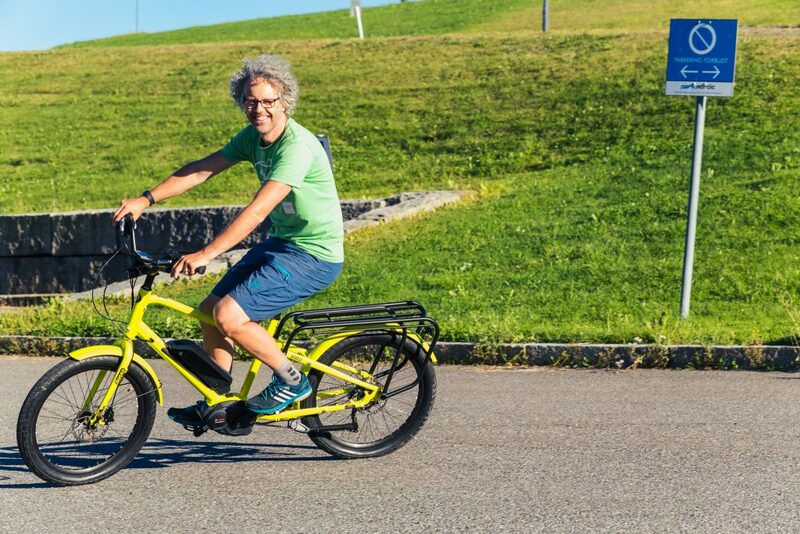 Jeg har nå sett på Trek sin transportsykkel, og den virker solid, men er den passelig for langturer , eller er det en by-sykkel? Jeg skal oppsøke en Trek-forhandler i Oslo, som har sykler inne på lager det går an å prøve. Jeg forstår frustrasjonen din – det er ikke enkelt å finne kunnskap om rendyrkede transportsykler i norske sportsforretninger. Jeg har selv brukt Trek Transport et halvt års tid, og mener det er en allsidig sykkel som kan fungere på langtur – men det krever at du tilpasser den noe. Og til ditt bruk mener jeg at Surly Big Dummy er et bedre valg, om du vil ha longtail. Selv har jeg tilpasset min Trek til ren lokaltrafikk i byen, for eksempel med fast barnesete og store ballongdekk som tåler å møte fortauskanter med tung last (men som også triller tregere enn originaldekkene). Den originale bagasjevesken som følger med er heller ikke tilstrekkelig vanntett for turbruk, og jeg har ennå ikke prøvd om Ortliebvesker passer. Jeg planlegger å skrive en grundig testomtale av Trek Transport i løpet av høsten og publisere den her. En viktig forskjell på Trek Transport og Surly Big Dummy er akselavstanden: Big Dummy har plassert bakhjulet så langt bak som mulig, og er dermed mer stabil med tung last bakerst. Trek’en har bakhjulet mer midt under bagasjeplattformen, og er mer utsatt for lett front om du lesser på tungt der bak. 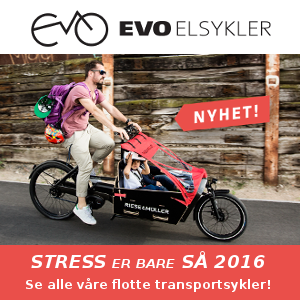 Trek har også en parkeringsstøtte som er for smal mellom beina og dermed fungerer elendig med mye last på sykkelen. Her har Big Dummy flere bedre alternative løsninger. Dog koster den dobbelt så mye. Du må gjerne komme innom meg og prøvesykle min Trek Transport. Til vanlig nærtrafikk er denne sykkelen det beste alternativet i et kost/nytte-perspektiv, om du ikke vil forlenge en sykkel du allerede har med Xtracycles eget forlenger-kit.